A lovely array of cheerful plants is just the right size for a mid-size desk or table. Its also just the right choice for that special someone. 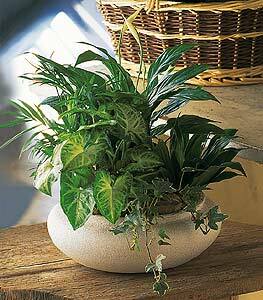 Dracaena, ivy, palm and syngonium plants arrive in a low decorative bowl.